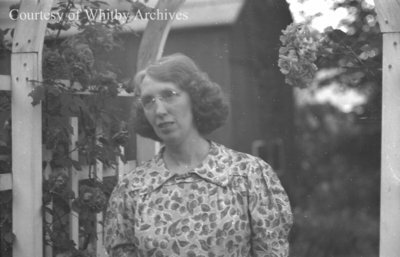 A black and white negative of Mrs. Hunter taken for her passport on July 12, 1938. In this view she is standing outside in front of an arbour and looking to the side. Mrs. Hunter, July 12, 1938, Marjorie Ruddy. Whitby Archives A2013_040_724C.